2013 King County natural color orthogonal magery acquired by Pictometry for internal business and agency use only. Pixel resolution is 0.75 foot GSD in rural (east) King County and 0.33 foot GSD in urbanized (west) King County. Higher resolution data includes portion of southwestern Snohomish County, the Highway 2 corridor in northeast King County and the Apenal area near Snoqualmie Pass. 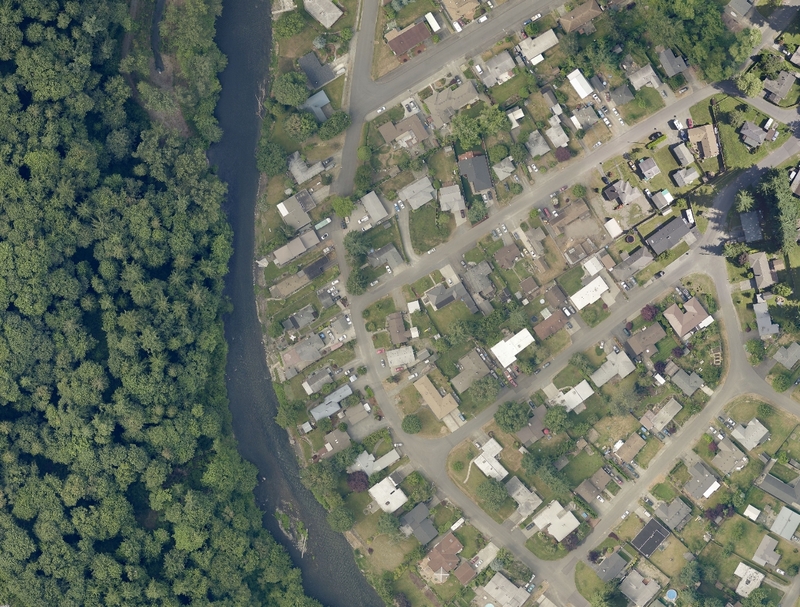 The 0.75 foot data is also known as Neighborhood-level imagery whereas the 0.33 foot data is known as Community-level imagery. Color imagery mosaic for King County and portions of adjoining counties. This ortho-mosaic is a visualization product and is not intended or valid for authoritative or definitive use. Portion of larger Pictometry package that contains their proprietary oblique and orthogonal view imagery for the same project area. To correctly determine the acquistion date and time for an area you need to use the spatial indexes - OBLIQUE_IMAGE13_AREA and ORTHO_IMAGE13_AREA. 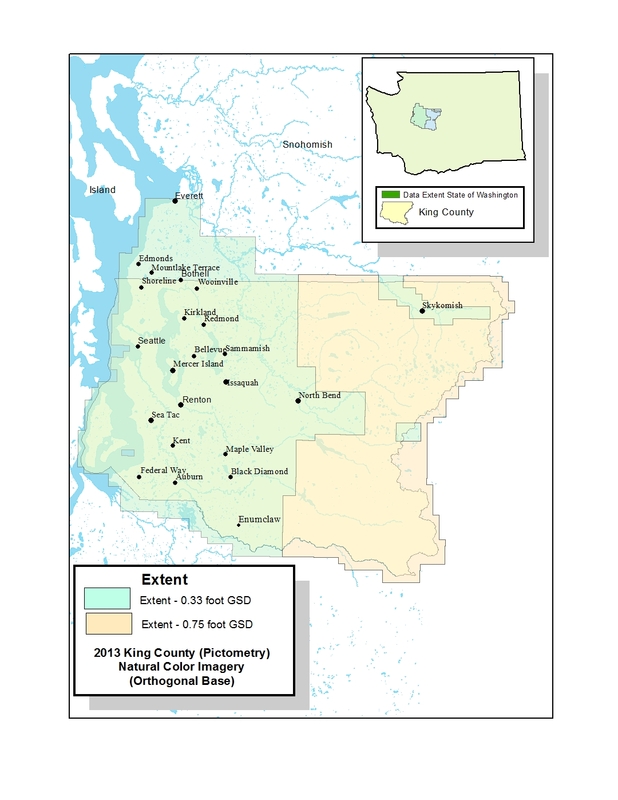 King County digital data may not be reproduced or redistributed in any form or by any means without the express written authorization of the King County GIS-Center. 7500-foot tiles are created from a mosaic of Pictometry's ortho tiles. Some tiles will be a combination of 0.75 foot and 0.33 foot imagery. Imagery was captured over a three months in a block-type pattern, with infill areas. Because this imagery is not true 'orthophoto' imagery there are some tonal variations across many of the tiles due to variations in lighting conditions. The mosaic tiles also show numerous examples of mis-alignment along seamlines with offsets and other artifacts that indicate the images of different vintage were mosaicked. Except for a small 'hole' in the water around Vashon Island there is complete imagery for the project area. No independent evaluation of horizontal accuracy was performed and the vendor provided no accuracy evaluation report.